Celtic Fusion combining original and traditional music with jazz, rock, blues, folk, and classical influences - instrumentation including hammered dulcimer, guitar, accordion, flute, marimbula, and vocals. Beltaine is proud to release its newest album, Tilly’s Jig! This is the band’s 5th album in over a decade of performing and entertaining audiences in the Portland area. The band continues its journey of performing traditional Irish and Scottish songs in non-traditional arrangements and instrumentation. In addition to the guitar, flute, and accordion, the hammered dulcimer is the band’s featured instrument, adding a percussive and unique melodic contribution not usually found in Celtic music. Tilly’s Jig has both original and traditional instrumental songs as well as many famous and beloved vocal songs. There are several themes woven throughout this album: the sea, family tributes, and of course, humor! Beltaine’s core members are John Keys on hammered dulcimer, flute and vocals, Brian Baker on guitar and vocals, Kris Chase on hammered dulcimer and marimbula, and Jamie Vandenberg on accordion. Tilly's Jig - Simply Awesome! This album is solid all the way through, the lyrics, instrumentation, and recording are outstanding. No one rocks a hammer dulcimer like John keys! It's been a long time since I've purchased a full album but, this one is put together with such detail it's great to listen to all the way through and then hit repeat. I am a complete fan of Beltaine so I was very excited they had a new CD coming out. TIlly's Jig is everything I had hope for. The msic is wonderful, with some of my favorite songs and some new favorites. Extremely well recorded and produced, don't miss out. Beltaine's New CD Tilly's Jig is a Treat! If you've never heard Beltaine, you are in for quite a treat! This group plays Celtic music with a sound that is unique. The original tunes will have you up and dancing. You will hear some favorite songs, and some that will become your new favorites. As a faithful follower of Beltaine, I was thrilled to the tips of my toes for the new album. Tilly's Jig is an amazing balance of old and new; upbeat and gentle. Another masterfully created album that's a perfect addition to their collection, and to mine! 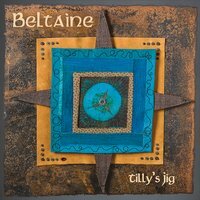 Beltaine's album Tilly's Jig is a very well balanced listen, it is not easy to make records and incredibly hard to make good records, Beltaine has hit a home run with Tilly's Jig. The instrumentation and song selection is excellent, backed by great vocals this album is treat to hear over and over. The years of playing live have paid off as this band is a well oiled Celtic machine that I look forward to hearing live and on CD. Roots music is soul music, honoring ancestors. It's not just an academic exercise, it's a living tradition. This Beltaine recording is roots music. Traditional Irish, Scottish, and English songs. Originals. Covers of contemporary songwriters. Jigs. Odes to an Oregon City Scottish pub and to Tillamook Lighthouse. History songs, political songs, ballads, cautionary tales, comic songs, tributes to mothers. Tilly's Jig is a soulful offering from talented musicians, and a very enjoyable listen!